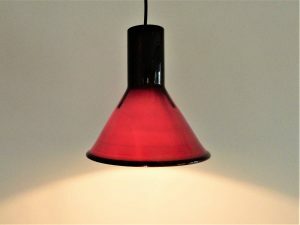 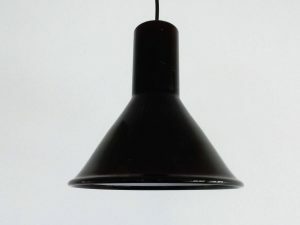 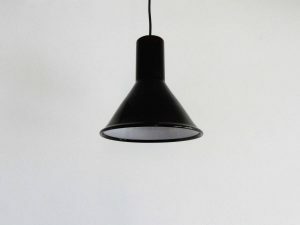 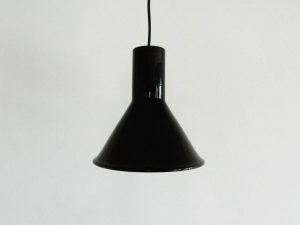 This mini P&T pendant lamp was designed by Michael Bang for Holmegaard in the 1970's. 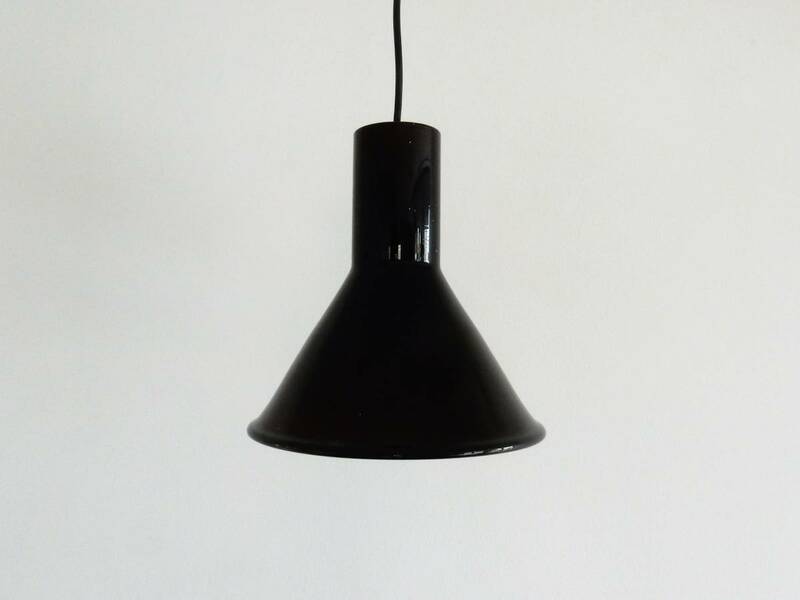 This Danish lamp is made of opaline glass and is black/aubergine on the outside and white on the inside. 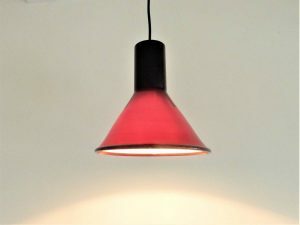 When lit, the lamp gives a partial warm red light. It is in a very good condition, with minor signs of age and use, glass is excellent. 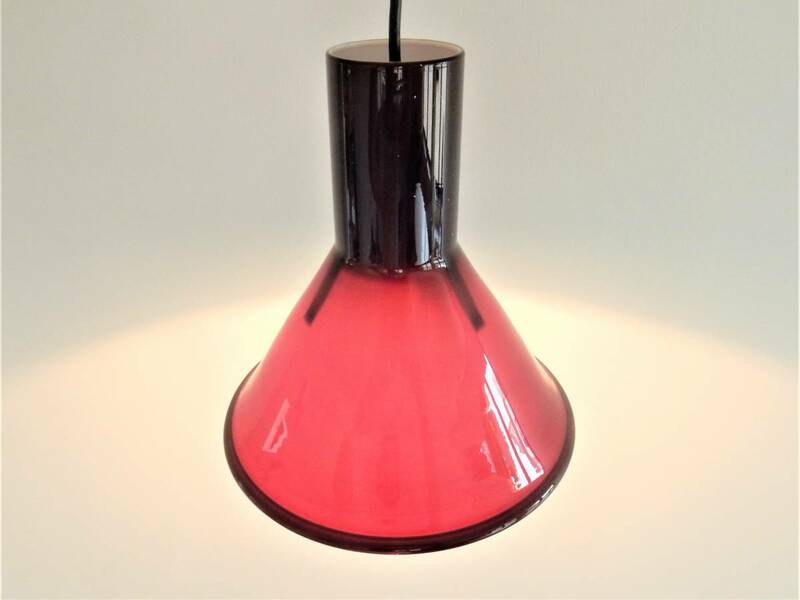 We have 2 lights available, price per piece and ask us for a setprice.